The systems and processes by which knowledge, including technology, know-how, expertise and skills are transferred between HKUST and society, leading to innovative, profitable or economic or social improvements. We foster a university-wide culture of Knowledge Transfer to advance societal impact. To be the exemplary institution in Knowledge Transfer for the best talents to congregate and collaborate while maintaining academic rigor and integrity. The Office of Knowledge Transfer (OKT) was established in 2014 and comprises the Technology Transfer Center (TTC), the HKUST R and D Corporation Limited (RDC) and the Entrepreneurship Center (EC). The OKT and its constituent units work with a range of stakeholders including government departments, the University Grants Committee, industries, NGOs, faculty, staff, students and alumni to promote, support and facilitate the University’s technology transfer and entrepreneurship endeavors. The HKUST Fok Ying Tung Graduate School (FYTGS) was established in 2007. The School oversees the University’s knowledge transfer endeavors in HKUST’s Mainland platforms, including Guangzhou HKUST Fok Ying Tung Research Institute (FYTRI), HKUST Shenzhen Research Institute (SRI), HKUST R and D Corporation (Shenzhen) Limited (RDCSZ) and HKUST LED-FPD Technology R&D Center at Foshan (FSC). The School’s mission is to ensure that the University’s efforts to advance innovation and entrepreneurship in Mainland China are integrated and coordinated in a coherent manner. The OKT and FYTGS are under the leadership of Prof. Enboa Wu, the Associate Vice-President (Knowledge Transfer) and also Dean of FYTGS, thus to provide overall coordination for knowledge transfer activities at HKUST’s Clear Water Bay campus and Mainland platforms. The Technology Transfer Center (TTC) serves as a bridge between HKUST research community and the business sector, identifying collaboration opportunities in the local, regional and international markets based on HKUST's research strengths. TTC monitors primary and emerging fields of research within HKUST for early recognition of commercialization potential; manages intellectual properties arising from HKUST research works, supports faculty and students in their endeavors to pursue university-industry collaboration, entrepreneurship and technology commercialization. The HKUST Entrepreneurship Center was established in 1999. Its mission is to provide entrepreneurial support to students, alumni and staff. Its service consists of providing workshops and seminars as well as to run competitions to recognize and award entrepreneurial potentials. It also runs the BASE (a student entrepreneur lounge) and sponsors mentoring services. HKUST R and D Corporation Ltd (RDC) is a wholly owned subsidiary of HKUST. It was incorporated in 1992 to serve as the business arm of the University to commercialize research conducted at HKUST. Through partnership and knowledge transfer with industry, the company assists the University to achieve its mission which relates to the economic development of Hong Kong. Hong Kong University of Science and Technology Fok Ying Tung Research Institute (abbreviated as FYTRI) , funded by Fok Ying Tung Foundation, was established in Nansha, Guangzhou in January 2007, which was the first and the only foreign research institute in Nansha. Relying on the world-leading research and education advantages of HKUST, FYTRI concentrate on innovative science and technology research and development, achievement transformation, high-end scientific and technical personnel developing, to promote the development of mainland economy. The HKUST Shenzhen Research Institute (SRI) plays a vital role in coordinating University’s innovation and technology advancement efforts among the Mainland platforms. Based on outstanding talents, research conditions and business incubation, especially the close relationship with industries in Shenzhen, IRE Building develops into a prominent research & education base and local liaison platform in Mainland, pushing regional economic growth and technological advancement and fostering knowledge exchange between Hong Kong and the Mainland. 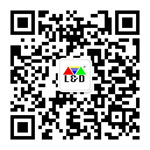 HKUST LED-FPD Technology R&D Center at Foshan is an institutional organization co-initiated by HKUST and Nanhai District Government of Foshan City. The lab facilities of the Center are certified by CNAS (China National Accreditation Service for Conformity Assessment). Our main business consists of development and transfer of solid-state lighting and display technologies for relevant industrial partners. The Center also provides technical services such as product characterization and testing, reliability assessment and failure analysis, product safety evaluation and technical staff training.